A… BIG THANK YOU…. 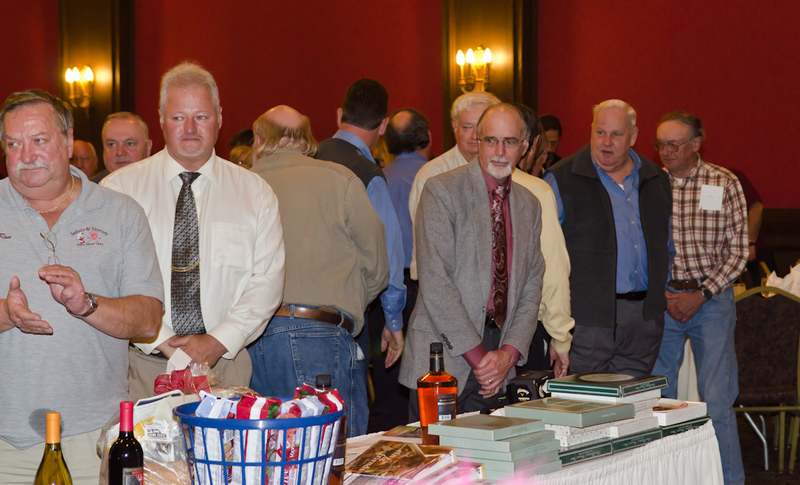 to all who participated at our 7th Annual Charity Auction on October 31st. Again the Erie Maennerchor Club put on a fine buffet meal and endless libations, in the German tradition, an der Bar serviert, for our 130~ guests. Thanks to all for the donations of cash, merchandise, and services that we where able to put up for the auction. Over a two hour period we auctioned off 91 items or lots of various items. The numbers are still being tallied but we are over $8,300.00 so far and all for the cause of helping local charities and those in need in Erie County, Pennsylvania. This will help us to continue throughout the year, the tradition of helping those in need; that the Circus Saints & Sinners of America were founded under back in the 1920’s. Members: Dutch Zabrosky, Gary Gnacinski, and Mitch Easly. On a sad note, we just lost two of our old and faithful members. Joe had spent many years on the Board and has been acting as our Bereavement specialist for as long as I can remember. Ron McNally was currently serving on the Board as a trustee and handled the additional responsibility as editor of our Newsletters. We will miss them. Please keep Joe and Ron in your prayers. Again thanks to all for your help and participation to make this auction a success.